The current version, SYM5, is free to download for a 30-day trial and $25 to buy. Purchasing SYM gets you all future upgrades and unlimited free technical support. An XP legacy version of SYM is available here. Check the SYM release history here. Organise your patches however you want. Work with a familiar Explorer style interface. Create your own patch folder groupings. Scan files to weed out duplicate patches. Drag and drop patches around/between files. "Hear as you edit" - just drag the graph markers and hear how the sound changes. Use a hardware controller instead of the mouse. Work on all parameters in a single window. Work on multiple patches simultaneously. Edit voices, drum patches, multis, microtunings,pans, system setups etc. Drag and drop any data between editors/files. PatchViewer keeps track of all patch types on your SY/TG. Download patches, banks, samples or all patches in one go. Drag and drop patch selections to new files. 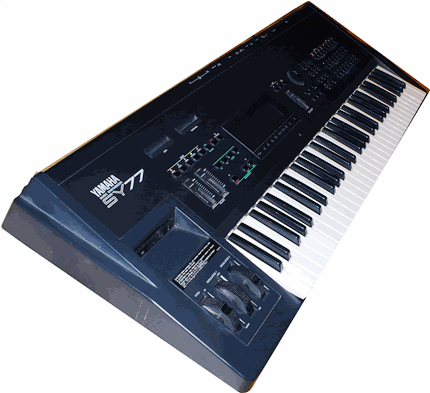 Get preprogrammed controller settings for your synth. 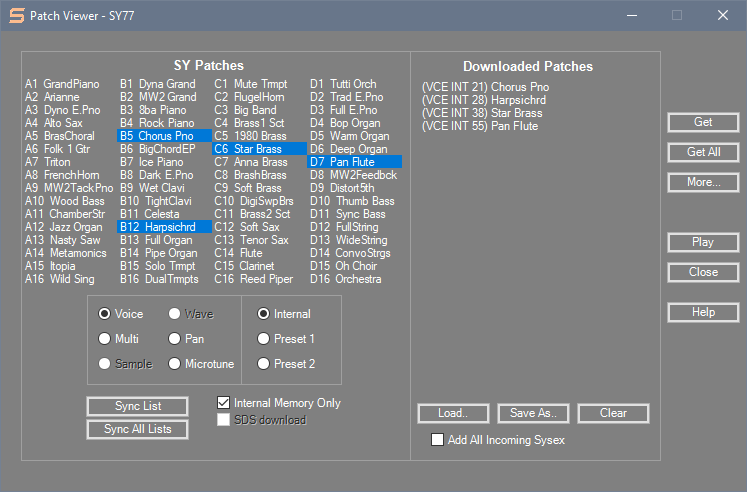 Two master templates include 50 Presets supporting all SY77/SY99 and TG77 patch types. Edit all Preset, Control and Global parameters in one editor. Select MIDI Parameter Change, Channel and Control Messages from drop down lists - no need to hand crank sysex. Use the Script Editor for advanced message editing. Multiple document interfaces for both patch management and editing with full drag & drop support. Explorer-style patch manager - drag & drop patches within/between files. Create your own patch management schema in Patch Explorer - multiple level dictionaries and hierarchies. 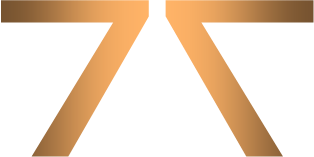 Powerful patch search, duplicate removal, sort and group features. Patch Viewer provides direct window on your SY for easier downloads, patch management. Saves/Loads mixed patch types, SY desktop etc. Graphical, real-time voice patch editor with auditioning. Universal SY voice patch editing supports all modes, including drumsets and SY99 sample and waveform parameters. Reads 4 and 6 Operator DX patches (.syx/.dat/.dxm) - sonically accurate conversion to 1AFM file SY series synth file format. 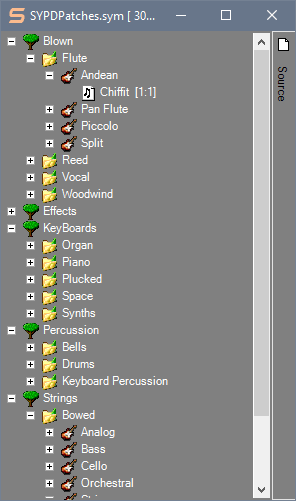 Tool editors for editing/managing Multi, Pan, Microtuning, Master Control (SY99) and System Setup patches. All editors support incoming parameter change messages from hardware controllers. 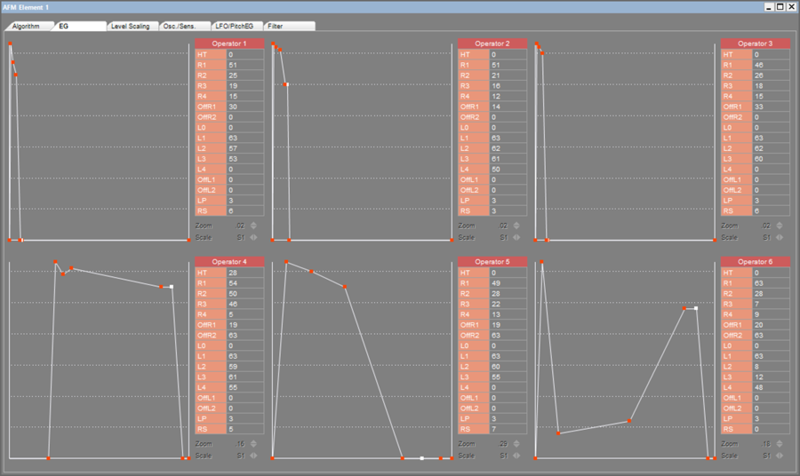 GUI editor for the Behringer BCR-2000 controller with 50 presets pre-programmed for all patch editors. Full support for Midi Merge from all device inputs and Midi Thru on primary device. 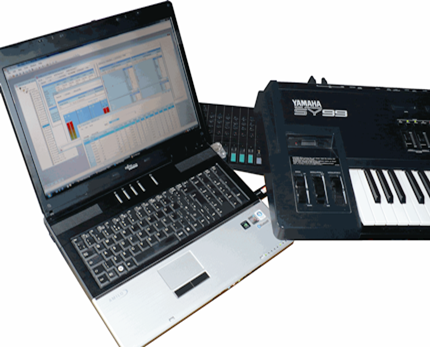 On-board MidiFile player and virtual MIDI keyboard. Prints patch lists and parameters. Print preview and print to file. PD Patch libraries (includes SY77 and SY99 Factory patches, 300 Native SY77 patches, 8,000 converted DX patches and a "best of DX" converted library). Perpetual license for all future upgrades.